Space-saving shop ideas d i ^ d! 2 years (14 issues) of WOOD for the regular price of 1 - just $28! board, as shown on Drawing 1b. Drive the screws, and then remove the clamps. 4 Clamp the rockers centered on the posts, where dimensioned on the Front View of Drawing 2 and on Drawing 1. Using the holes in the posts as guides, drill pilot holes into the rockers. Then, drive the screws and unclamp. 5 Using a plug cutter, cut eight plugs from 5/i6M-thick cherry scrap. (We resawed thicker stock.) Glue the plugs into the counterbores in the headboard and footboard, aligning the plugs so that their grain matches the surrounding wood. After the glue dries, sand the plugs flush. Glue 3/s" mushroom-head plugs into the counterbores in the posts. Use glue sparingly to avoid messy squeeze-out. 'Parts initially cut oversize. See the instructions. 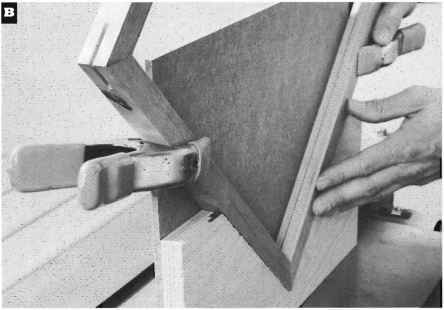 Materials key: EC-edge-joined cherry, C-cherry, P-plywood. 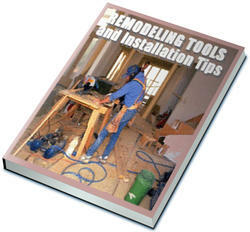 Supplies: #8x2" flathead wood screws (8), #8x1" fathead wood screws (12), W mushroom-head plugs (12), finish. NOTE: Drill counterbored mounting holes on alternate sides.